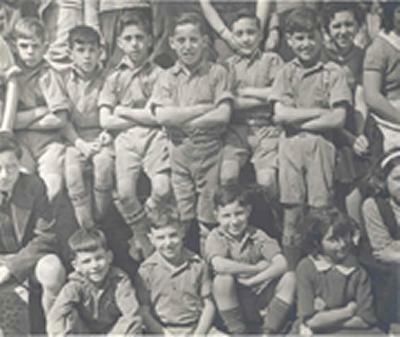 A University of Southampton project to preserve the memories of children who arrived in Southampton over seventy years ago fleeing the Spanish Civil War is to receive a £47,000 grant from the Heritage Lottery Fund (HLF). Special events in 2007 commemorated the 70th anniversary of the arrival of nearly 4,000 children and now the University is setting out to record the stories of survivors of this huge evacuation. The refugees were fleeing attacks by fascist forces on the Basque region of Spain, including the town of Guernica which was bombed by the Nazis in an act of aggression immortalised by the artist Picasso. Recordings will be made from 30 of the Spanish refugees, which will be added to the archive for Los Niños – the little ones – at the University. The project will create a travelling exhibition that will start at the University in April before touring museum and library venues around Hampshire. Working with the Basque Children of ’37 Association and Hampshire Archives and Local Studies, the University will also use the information collected during the project to produce an education pack for use in 20 local schools and to create an on-line exhibition on the University’s website. The stories of Los Niños will feature in the exhibition to be held at the University to co-incide with an international conference being held there in April entitled Coming Home? Conflict and Return Migration in 20th Century Europe. Of the 3,840 children who arrived in Southampton on 23 May 1937, an estimated 250 remained in Britain at the end of the Second World War.